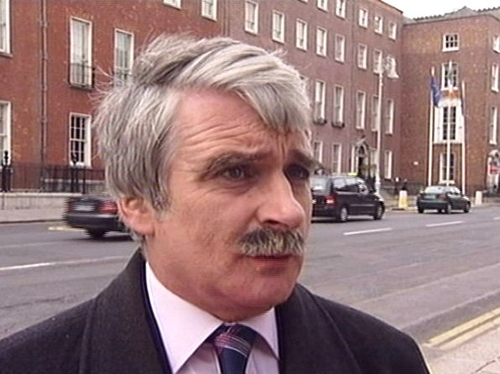 Minister for Defence Willie O'Dea has apologised to Limerick Sinn Féin Councillor Maurice Quinlivan for making false and defamatory statements about him in an interview with the Limerick Chronicle newspaper last March. He has also apologised for denying having made such statements in an action taken by Mr Quinlivan last April to prevent the statements being repeated. The Minister has also paid damages and costs to Mr Quinlivan, who is Sinn Féin's joint national treasurer. Mr Quinlivan took a defamation action against Mr O'Dea after the article appeared on 10 March. In an apology read to the High Court this afternoon, Mr O'Dea said the article contained implications which reflected on the personal conduct and character of Mr Quinlivan. He said he accepted that these implications emanated from him and in particular from statements he made in an interview with a journalist from the Limerick Chronicle. Mr O'Dea said he accepted all such implications and statements were false and defamatory of Mr Quinlivan. He said he withdrew them in their entirety and apologised to Mr Quinlivan both for making them and for denying having made them. Mr Quinlivan said he accepts there was no intention to mislead on the part of Mr O'Dea in making this denial. Mr O'Dea continued that he accepted Councillor Quinlivan was a person of the highest integrity and fully entitled to the good reputation he enjoys at a local and national level.